As is often the case with ambitious fan projects, Apeiron received a cease-and-desist letter from lawyers representing the series its team was trying to pay homage to. Apeiron’s developer, Poem Studios, took to Twitter to share the news. “After a few days, I’ve exhausted my options to keep it [Apeiron] afloat; we knew this day was a possibility. I’m sorry and may the force be with you,” Poem wrote alongside a screenshot of a letter purporting to be from Lucasfilm. “Notwithstanding Poem Studios affection and enthusiasm for the Star Wars franchise and the original KOTOR game, we must object to any unlicensed use of Lucasfilm intellectual property,” reads Lucasfilm’s letter. It goes on to call Apeiron’s use of Star Wars characters, artwork, and images on its website and social media “infringing” and demands that 1) Star Wars materials are removed, 2) the Apeiron team ceases development and destroys its code, and 3) they don’t use any Lucasfilm properties in future games. 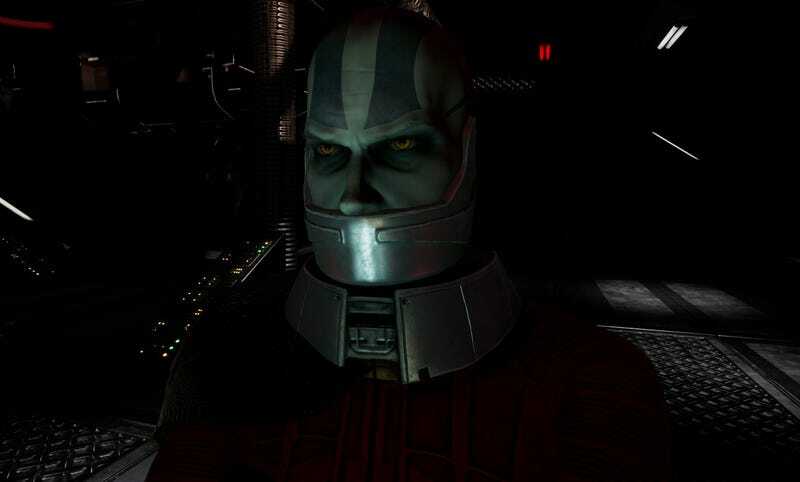 Fans have suggested that since Poem has defined Apeiron as a total conversion mod—despite running in a new engine, it would’ve apparently required the original version of KOTOR to be installed on players’ machines in order for it to function—the fan studio could theoretically battle back against Lucasfilm’s demands in court. And while project lead Taylor Trotter believes he might have a shot, this isn’t the kind of empire a scrappy team of rebels can realistically topple.